Nursultan Nazarbayev has ruled Kazakhstan as the oil-rich central Asian nation’s president since its independence in 1991. The world’s largest land-locked state is taking a heightened interest in the turbulent region’s problems since it has taken up the chairmanship of the intergovernmental Organization for Security and Co-operation in Europe (OSCE). 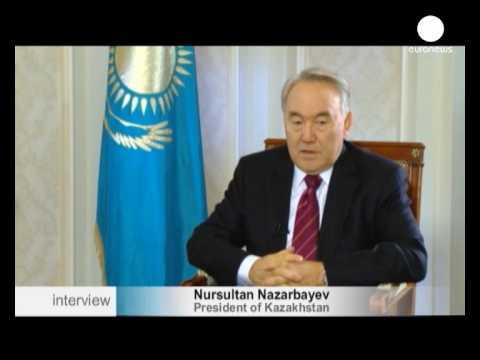 Euronews spoke to President Nazarbayev in Almaty.